Here at the LTE World Series we have received a huge array of entries for the inaugural LTE Asia Awards, with submissions impressing our panel of expert judges with their innovation, hard-work and commitment to LTE. Our analyst-led panel of judges have made their final decisions and the awards shortlist can be seen below. The winners will be announced on the first evening of this year’s LTE Asia event on the 24th September at the Marina Bay Sands in Singapore. Telenor Global ServicesOver the past few years I have experienced a number of examples where customers have experienced “bill shock” after returning home from travelling abroad. The good news in Europe is that since July this year additional EU regulations have made data roaming more affordable, and this is a trend that is about to go global. What is the catalyst for this new trend? There are so many data-hungry apps on smartphones and tablets being used by people of all ages. In a workshop during the last LTE World Summit in Amsterdam several operators gave similar observations from different segments—not only SME customers. This means that data retail prices are bundled (daily or weekly bundling for example), which make the data roaming much cheaper, and at the same time increase the operators roaming data revenues worldwide. Telstra will add Sydney and Adelaide to its trial of 4G services on new blocks of 700MHz spectrum in mid September, ahead of the formal commencement of access licenses in early 2015. The telco kicked off commercial trials of 4G services using the 2x20MHz of 700MHz spectrum it purchased in the Government’s 2013 digital dividend auction across Perth, Fremantle, Esperance, Mildura, Mt Isa and Griffith in June this year, after being granted an early access license to the spectrum. Asia Pacific users lead in mobile traffic consumption. With the popularity of streaming via apps from YouTube, Youku and PPStream, users in the region on average download 1.1 GB of data per month.– According to a GSMA study, by 2015 this number will only increase and there will be more than 120 million LTE subscribers in the Asia Pacific region. Between the leading-edge Asian Tigers of Singapore, Taiwan, Japan, South Korea and the emerging markets of Southeast Asia, China and South Asia, a number of challenges have surfaced for mobile networks in the region. This leads to issues like spectrum and cell-site scarcity as well as the speed of network modernization. The iPhone 6 should feature a Qualcomm modem that would make LTE download speeds 50 per cent faster. 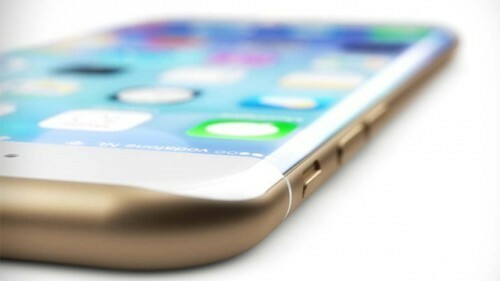 A New report states that the iPhone 6 will feature a Qualcomm MDM9625 modem, which would offer download speeds of 150 megabits per second. These speeds would provide 4G LTE download speeds 50 per cent faster than the current iPhone 5S. The third-generation Qualcomm LTE chipset was originally announced back in February 2012 and could offer marked upgrades to the current iPhone cellular download speeds. The iPhone 5S is capable of a maximum 100Mbps download speed. Previously rumours had teased that the iPhone 6 may come with support for LTE Category 6, which could mean super-fast download speeds of up to 300Mbps. The latest report suggests that the iPhone 6 is limited to CAT 4 LTE compatibility. Abdus Samad, Assistant Manager, Radio Network Design and Performance, for Augere Wireless Broadband/Qubee, is taking part in the Operator Mindshare taking place on Day Two of the LTE Asia conference, on the 23-25 September, at the Marina Bay Sands, Singapore. Here we found out more about the strategy around the transition from WiMAX to LTE. What is your mission and what are the main challenges you are facing in delivering wireless broadband? Our mission is to provide affordable broadband to all, so that they can experience the best of the Internet. We have been operating using WiMAX technology for more than five years and are currently in the planning stages for transition to TD-LTE. Our aim is to provide high-speed broadband service to end users no matter what technologies we are using. Air interface management is always challenging, especially when the frequency band is above 2GHz. Then deep indoor seamless coverage becomes one of the major challenges. Other than that, end user demand for high volume content has increased significantly in last few years. With limited wireless resources, capacity management is a vital point for us. Development of LTE is now real and there are numerous live networks around the world, we expect we will be able to meet the user demand with LTE deployment. How has the TD-LTE eco-system progressed over the last 12 months and what are your expectations for the next couple of years? Faisal Mobarak, Asst. General Manager, Network Operations Center, Ollo Wireless Internet is speaking on Day Two of the 9th annual LTE Asia conference, taking place on the 23rd-25th September 2014 at the Marina Bay Sands, Singapore. What are the broad challenges that you expect to face over the next five years? For developing country like Bangladesh, the key challenge is to make LTE a profitable business case for the operators. In Bangladesh, we still have very low Internet usage and the use of data is just not up to the mark, mostly due to lack of local content and overpriced Internet bandwidth at consumer level. Therefore, the challenge is more on socio-economic part rather than technical. What is your strategy for increasing consumer uptake of LTE services? Globe Telecom, in the Philippines is currently transitioning from WiMAX to LTE. In this interview Francisco Claravall, VP for Consumer Broadband Products tells us about the challenges it faces of doing so and how the company is looking to innovate as it does so. You can hear more from Claravall when he takes part of a keynote panel session, and gives a presentation on Day One of the 9th annual LTE Asia conference, taking place on the 23rd-25th September 2014 at the Marina Bay Sands, Singapore. What are the major challenges that you believe you will face over the next couple of years? The Philippines has a lot of potential, not just in the area of broadband but as a nation. With economic growth still moving at a higher pace than most of our neighbours, the Philippines is a good growth story. Recently we’ve had a major typhoon that hit us, and who knows how the environment will fair in the years to come. One challenge we need to address is disaster-preparedness, how quickly can we respond and reduce customer downtime. The other challenge we see is how strategically can we evolve as a company to be at the centre of the digital life of our customers? This is all about moving beyond dumb pipes and becoming more relevant to our customers’ day-to-day activities. The advancements in technology over the last decade or so are having a profound impact on the lives of many people around the world. Every day, digital technologies are creating new ways for people to work, play, transact and communicate with each other. These developments are making people’s lives more convenient. On a larger scale, they are ushering in the dawn of a digital society. A digital society can be defined as a community where the creation, distribution, uses and integration of information is able to create significant social, economic and cultural value. We are seeing many digital societies emerging, especially in areas with high-tech clusters such as Singapore, as well as around the Silicon Valley area. Interview: EVP/Director of SD, LG U+: “South Korea has become the world test-bed for next generation technologies”. LG U+ believes South Korea’s market leading network status derives from the cutting-edge handsets present in the market. In this interview he details the plans for bringing further enhancements and speeds to the network over the next couple of years. To hear more about LGU+’s strategy you can hear Sun Tae Kim, EVP/Director of SD, LG U+, speak on Day Two of the 9th annual LTE Asia conference taking place on the 23rd-25th September 2014 at the Marina Bay Sands, Singapore. Operators in South Korea seem more willing and able to invest in next-gen technologies earlier than many Western operators? Why do you think this is so? South Korea has the world-leading manufacturers of smart devices – such as Samsung and LG – and implemented nationwide LTE network sporting the best quality and functionality. But mobile subscribers have been already saturated. The Korean operators, SKT, KT, and LGU+, could not survive in the market just with existing technology and can only beat the competition with new technologies and services. As a result, South Korea has become the world test-bed for next generation technologies. Following on from that would you say South Korean customers are more willing to try, and pay for, new mobile services? Santosh Payal, Manager for Mobile Data and Broadband Services for Vodafone Fiji Limited will be discussing optimal LTE pricing in his presentation on Day Two of the 9th annual LTE Asia conference taking place on the 23rd-25th September 2014 at the Marina Bay Sands, Singapore. Are billing systems keeping pace with changes in how MNOs now charge for data? Billing vendors are trying to keep up with the phenomenal growth of data and the need to support different charging mechanisms. However, the data market dynamics are such that it makes them hard to cope with these changes and implement them in a short time. The constant billing system updates also comes at a cost, with which most of MNOs are not willing to keep up. We believe the flexibility in billing platforms should be increased, thus enabling MNOs to create their own service/charging logic without going through the pain of frequent investing in billing platforms.